The Free Church of Scotland was formed in 1843 as a result of the Disruption within the National Presbyterian Church. The result was that about one-third of the ministers and members left the Church of Scotland. They did so, on principle. They were convinced that the Church of Scotland of that time was allowing the state to interfere improperly in the Church’s internal government. Shortly after the Disruption a congregation was organised in Partick, which at that time was a village of 3,000 people. Its first minister was Rev Harry Anderson, who was inducted in 1844 and remained in the congregation for over 50 years. Since that time 9 ministers were inducted to Partick Free Church. 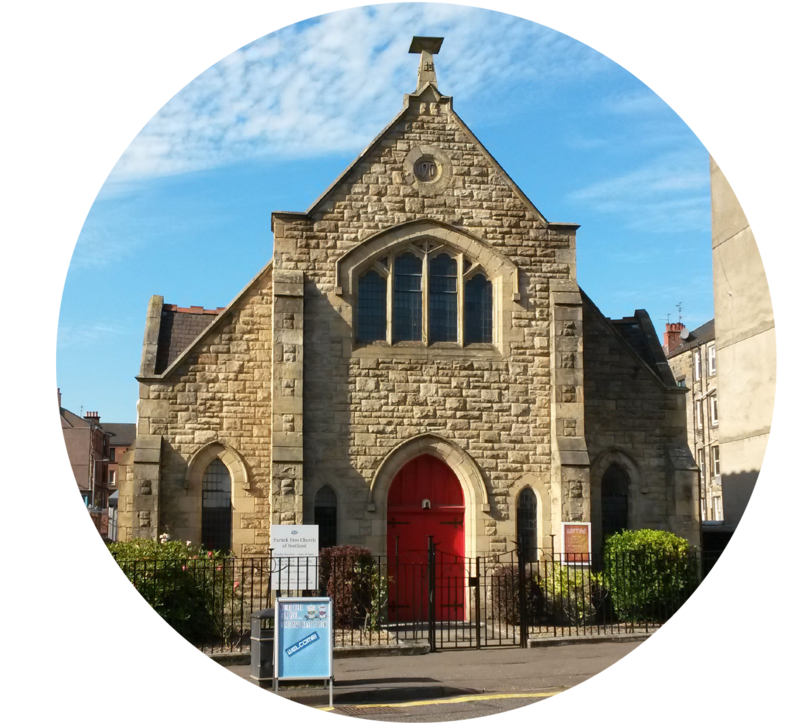 A lot has happened since then in the complicated Church History of Scotland, but the Free Church has continued as a National Church, though it is much smaller nowadays. It maintains the Presbyterian Church government and the Evangelical and Reformed Theology of the Reformation Church in Scotland. It has also kept up the practice of the singing metre versions of the Psalms, which is regarded as the song-book of the Bible. The singing of Psalms is in “a cappella” (without musical accompaniment). As a Church our main emphasis is, as it was in the days of the Apostolic Church, to faithfully proclaim, from the word of God, the Good News in Jesus Christ and to present Him as the answer to people's deepest needs and the only hope for the world. Our present minister, Rev Alex Cowie, was inducted to the congregation in May 2005. He and his wife Lena previously served in a Free Church congregation in the North of Scotland from 1981 to 1995. They then moved to Glasgow and were, as representatives of the Free Church, involved in cross cultural mission for ten years. As part of the Partick congregation’s outreach Alex takes an active part in work among Glasgow’s Jewish community and is part of a steering group which coordinates this work. The group aims to provide support & encouragement for Jewish followers of Jesus, to seek to combat anti-Semitism and to provide a non threatening environment for Jewish people, and others to consider the claims of Jesus. Some members of the congregation assist at these quarterly Festival meetings.